What are some common mental/physical health issues? How serious is suicide within the veteran community? 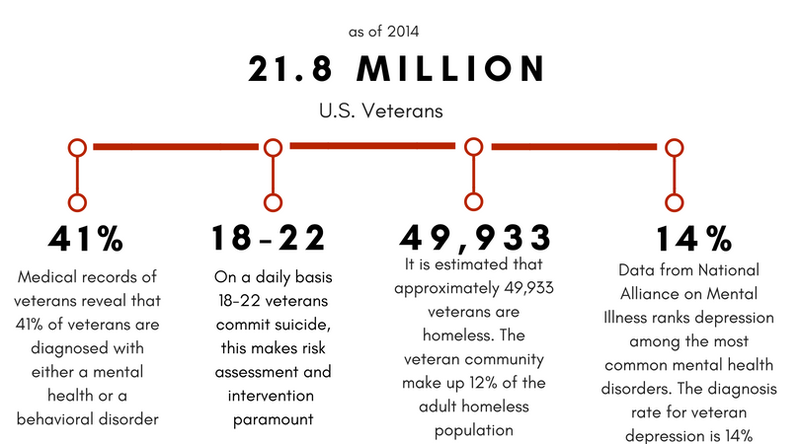 With 18 to 22 veterans committing suicide on a daily basis, suicide is an extreme issue within this community. Is depression a common issue for veterans? Depression ranks among the most common mental health disorders, and is increasingly common among the veteran community. Overall is mental health a pressing issue in the veteran community? Medical records of veterans reveal “that one in three patients was diagnosed with at least one mental health disorder – 41% were diagnosed with either a mental health or a behavioral adjustment disorder”. Does the veteran community struggle with homelessness? 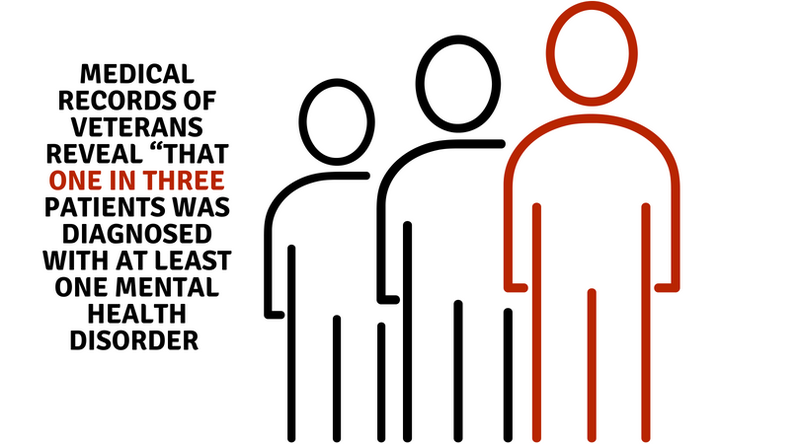 A study published in 2016 in Jama Psychiatry, found that men and woman who experienced MST are independently associated with higher rates of homelessness. What is Unexpected Voices purpose? Unexpected Voices shines a light on veterans' struggles through the healthcare system. Unexpected Voices ventures to share the stories and impacts of veterans struggling to obtain healthcare to many communities. These communities include the general public, the unaware, other veterans, and activists. How will Unexpected Voices reach our target audience?